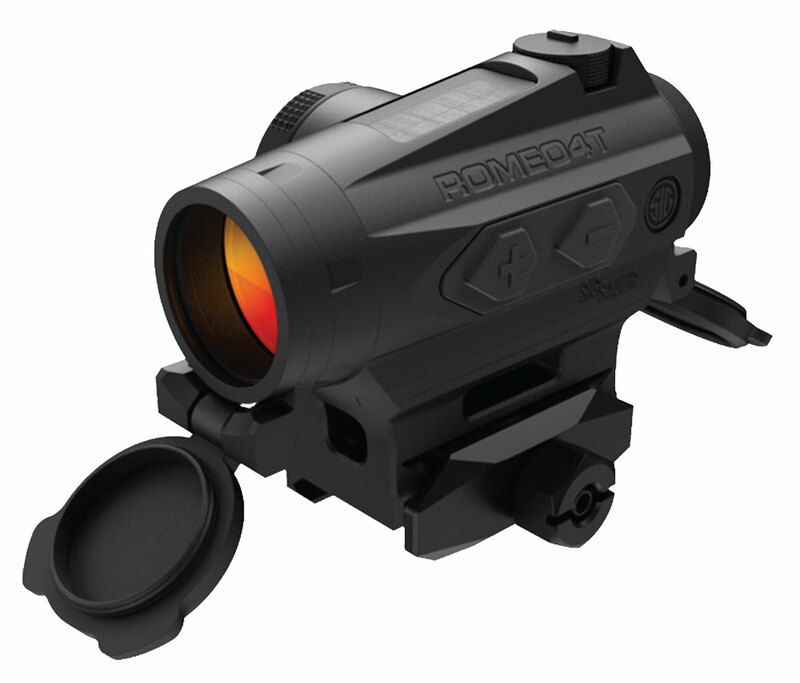 Sig's Romeo4 Compact Red dot is fast, accurate and its target acquisition is ideal. The unlimited eye-relief allows you to acquire the aiming point and target, and MOTAC (Motion Activated Illumination) powers up when it senses motion and powers down when it does not providing optimum operational safety and enhanced battery life. This model features a solar panel and includes solid flip-open covers.